Join singer-songwriters Yvonne Lyon, Gareth Davies-Jones and David Lyon as they perform music from their new collaborative album, The Space Between, inspired by Jesus’ teachings in the Sermon on the Mount. Doors open at 7pm, tickets cost £6.00 each (plus a £1.29 booking fee). 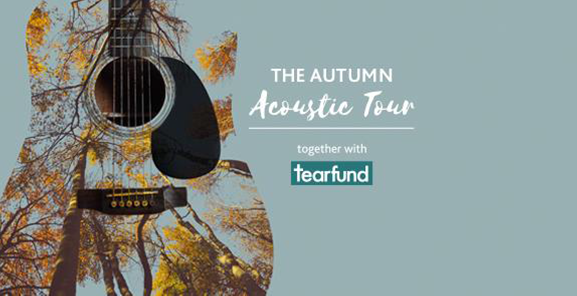 Money raised will go towards Tearfund’s work with the world’s most vulnerable people. Copies of the album, The Space Between, will be available to purchase on the night for £10.00 each.